Recent medical marijuana laws in some areas of United States have created a number of new business opportunities. Across the country, special dispensary operations in areas, which have approved marijuana for medical purposes, are the only legal outlets to legally access marijuana after receiving a prescription from a physician. Many of these new marijuana dispensary businesses are just starting out and trying to navigate their basic essentials, organizing their operations, and identifying their security needs. A first-time business owner can quickly become overwhelmed with how complex the security of their facility needs to be. 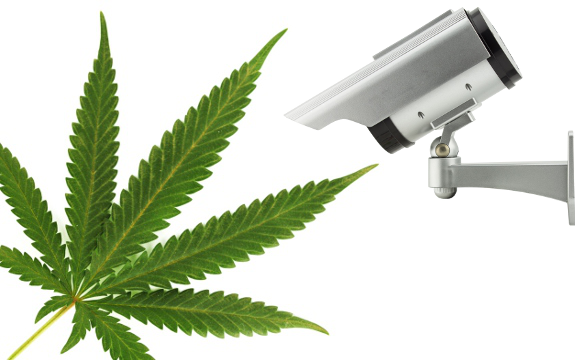 In reality, the world of marijuana security is very complex, and on similar to the security needs of banks, laboratories, and other high-tech facilities. Since medical marijuana security is an emerging field, dispensaries are working with seasoned security experts who bring their wealth of knowledge to this new field. As a trusted security solution provider for over two decades, Securatech is bringing our expertise and know-how to the emergent medical marijuana industry. We have solutions that cover any potential damages or ward off any nefarious activity on your premises or your information networks. Securatech offers a comprehensive suite of security products, closed-circuit television (CCTV) to safeguard your facility, access control, along with IT integration to protect your valuable information. Each marijuana security project starts with a complete assessment of your site and operations so that we can design the right security solution to meet your needs and business goals. We aren’t here to just sell you a service, we work collaboratively with you to identify your potential risks, create a risk management strategy, and implement the best solutions for your marijuana dispensary. Facility Access Control – ID cards, key fobs and biometric credentials work with card readers and biometric readers to let you manage and monitor access to your facility. Security Systems – detect and report critical events such as break-ins, fires or floods to our 24-hour monitoring station. Convergence/IT Integration – integrate your information security into one central system for streamlined management and heightened security across your entire operation. CCTV –a system of interior and exterior cameras positioned to record data at any time, day or night, to protect your employees, your products, and your financial integrity. Whether you need a simple security solution or a more comprehensive approach, Securatech has the expert knowledge to address the complex needs of your medical marijuana operations. We not only have a long history of not only staying ahead of security trends, we constantly look to be innovators in the security field and deliver excellence to our customers every day. We offer the best in physical security solutions along with top-quality information technology services. The medical marijuana industry is growing and changing rapidly. With security solutions from Securatech, you know that your future is secure.